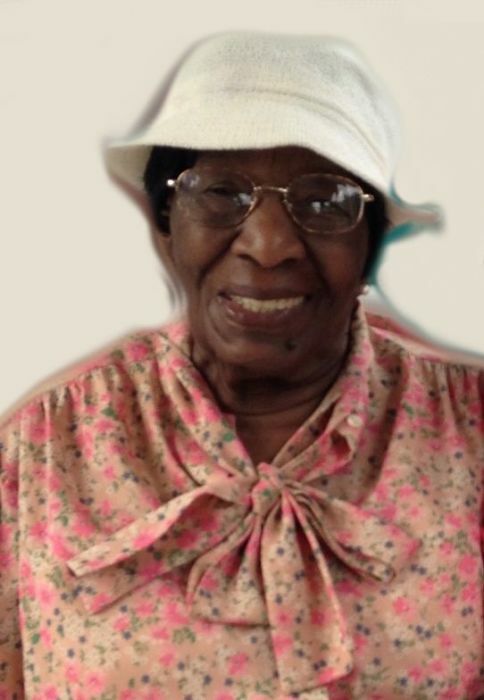 Obituary for Thelma M. Harewood | Frank R. Bell Funeral Home, Inc.
Thelma Marjorie Harewood was born on February 5, 1926 to (the late) Samuel Emmanuel Grandison and Florence Winifred Standard in St. Matthias Village, Christ Church on the beautiful island of Barbados. She came from a large family, and though she was one of the youngest, she was very helpful and dependable amongst her sisters and brothers. Thelma was educated at St. Matthias Girls’ School where she was one of the brightest students, and completed school a year early. After graduation, she went to the House Craft Center and learned how to cook and sew. Thelma caught the attention of Goulburn Harewood whom she later married, and from their union came nine children. They raised their children to have strong values and a firm belief in God. Thelma had a love for sewing, and would make her children's uniforms for school. She even made uniforms for some of the children in the neighborhood. Thelma accepted Jesus Christ as her Lord and Savior. In 1971, she became a member at Refuge Church of God. She had a deep adoration for her church, and made sure her children and grandchildren attended. She was a committed member of the church and participated wherever she could. She would visit nursing homes with the church as a missionary, and was also a member of the Senior Choir. Thelma was strong in worshipping and praising God while in church, and if you were lucky, you would hear her shout a joyous "Hallelujah!!" As a mother, Thelma was known for her firm, consistent, authoritative yet loving manner. This also showed through how she cared for and loved her grandchildren and great-grandchildren who affectionately called her "Gran." Thelma was known for her fish cakes, sweet bread and pone for family gatherings. No gathering was ever complete without her famous noodle pudding which her grandchildren loved. To her many friends, she was known to be very outgoing and spicy with no filter. She had a knack for being on time and would be the first to arrive at any family function or social event. Thelma was also known for having an indelible memory for dates and events. Thelma, who was always very independent, had a hard time adjusting to her aging body. After much convincing, she went to live with her son, Adrian and daughter-in-law, Janet. Due to an unforeseen medical condition, she was placed in Four Seasons Rehabilitation Center in Brooklyn. During that time, while her mind remained sharp, her health declined, and at the age of ninety-two, she went home to be with her Lord and Savior Jesus Christ on Thursday, October 4, 2018. Thelma was preceded in death by her husband Goulburn Harewood; a son Maurice Harewood; and three daughters: Cheryl Harewood, Jacqueline Miller and Michelle Harewood. She leaves to cherish her memory, four daughters: Marlene Jones, Janette Mercer, Diana Knight and Yvette Jones; two sons: Philip Harewood and Adrian Harewood; her grandchildren and great-grandchildren, a daughter-in-law Janet Lyons-Harewood; sons-in-law: Kenrick Jones and Cameron Hinds; the Murphy and Blackman Families; and numerous nieces, nephews, other relatives, extended family and friends.